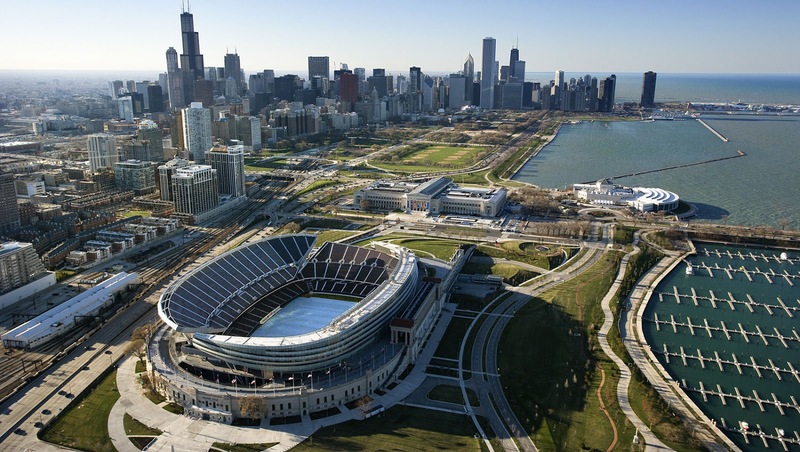 September 29, 2003 –The new Soldier Field opens to a national audience as the Chicago Bears take on the Green Bay Packers. The renovated stadium is the product of years of wrangling about what an appropriate venue would be for the Monsters of the Midway and exactly how much taxpayers should be expected to pay for it. As the stadium welcomes its first fans, reviews are mixed. Joe Antunovich, the chairman of the Landmarks Preservation Council, says, “We’re stuck with what we have, which I believe is much less than we could have had. It’s an eyesore of the Nth degree. It’s just awful.” [Los Angeles Times, September 29, 2003] Herbert Muschamp, the architecture critic for the New York Times, disagrees, writing, “If your commitment is to classicism, you will find a more authentically classical urbanism in the recast stadium than was present when the concrete colonnades stood alone. And if your commitment is to conflict, as a city lover’s ought always to be, the field’s controversial reception will not let you down.” [New York Times, September 30, 2003] The new Soldier Field will hold 61,500 fans, 3,500 fewer than the old stadium, and in the second largest market in the National Football League, it will be the second smallest stadium. However, 60 percent of the new venue’s seats will be on the sidelines; in the old stadium that number was just 40 percent. A unique feature of the stadium is that all of the suites and club seats are on one side while all the general-admission seats are on the other. As a result, the west grandstand is 20 feet higher than the east side, which will have four levels of $300,000-a-year luxury suites. The renovated stadium will also have twice the number of concession stands as its predecessor and more than twice as many bathrooms. On this night a crowd of 60,257 watches as the Green Bay Packers, with Brett Favre at quarterback, score 17 unanswered points in the first quarter, ultimately defeating the Bears, 38-23. September 29, 1915 --The Chicago Daily Tribune reports that the Municipal Art Commission has accepted a design for a colonnade or peristyle that will be built on the southeast corner of Michigan Avenue and Randolph Street. In the middle of the colonnade will be a fountain, the entire design provided by the firm of Edward H. Bennett. 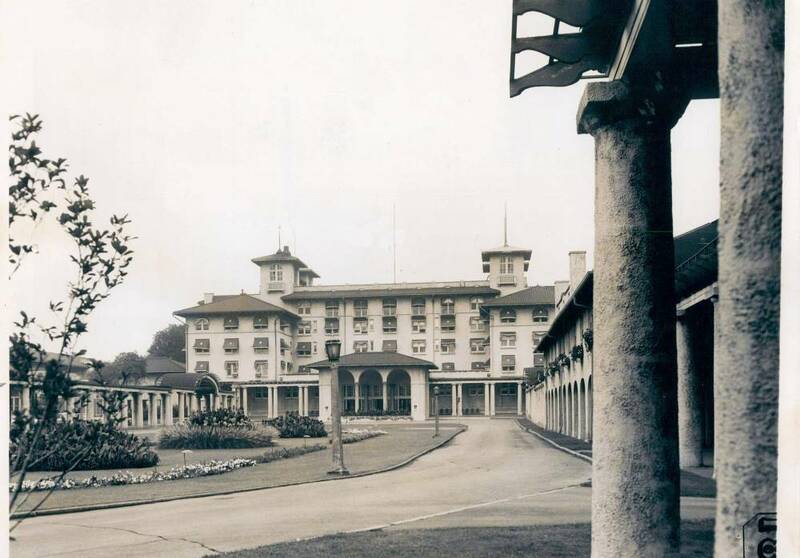 The peristyle, finished in 1917, lasted until August 20, 1953 when the Speedway Wrecking Company quickly razed it with the debris used as fill in a northerly extension of Lake Shore Drive. 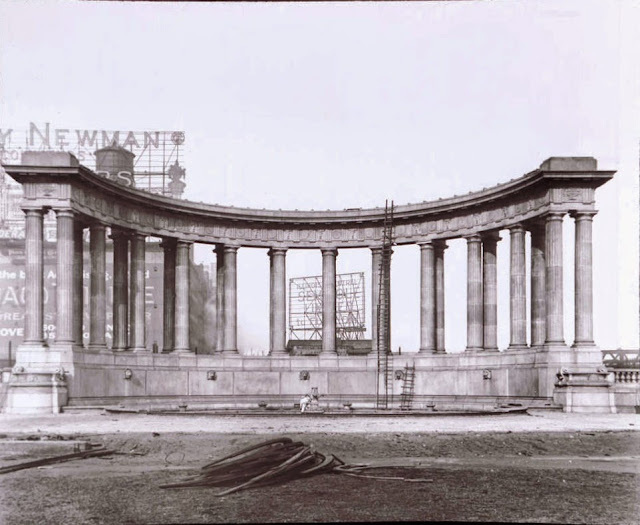 For more on the original peristyle and its modern replacement, you can turn to Connecting the Windy City and check this entry out.